Tell us how you first learned about Jesus. grew up going to a liberal church, so I heard a lot about Jesus from my earliest childhood, but I had never really been taught the gospel. About a month before I graduated from high school, I was sensing a great spiritual void in my life, so I picked up a Bible, opened it at random, and started reading. I don't think I'd ever carefully read more than a verse or two of Scripture at once. (I treated the Bible like a horoscope. Every now and then, I'd open at random, read a verse, and try to make some artificial connection to whatever was happening in my life.) That night it opened to the first page of 1 Corinthians, so I decided to try to read through the whole book. 1 Corinthians 1 is not where you'd send a high school student looking for the gospel, but the dawn of true understanding started for me with that chapter: Paul's condemnation of human wisdom, wealth, power, and arrogance in those opening chapters—combined with his elevation of the gospel as something that sounds uselessly unsophisticated to the worldly wise (a stumbling block to Jews and foolishness to Greeks). Within a week, God providentially exposed me to clear presentations of the gospel three more times. It was as if everything in my life suddenly conspired to make the truth of Scripture clear to me. And by the end of that week, I had become a believer. Your relationship with John MacArthur is a long onehow did that connection get made originally? The first time I heard him was in 1977. I had never even heard his name, and I was pretty sure nothing good could come out of California. 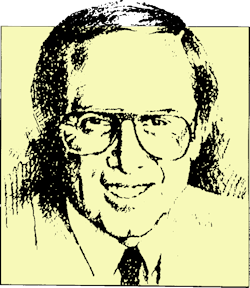 I was living in Wrigleyville, Chicago, working as an editor at Moody Press, and John was the speaker they invited that year for "Spiritual Emphasis Week." Moody Bible Institute would annually host some well-known speaker to preach in student chapel every day for a week. Because it was so special, employees could attend if they wanted to. That year Moody distributed a publicity sheet introducing "John MacArthur, Jr., a fifth-generation preacher, pastor of Grace Community Church in Sun Valley, CA," and it said on that Monday he was speaking about "God's Will for Your Life." The guy I shared an office with read the flyer aloud and asked if I planned to attend chapel. I answered, "No way. I have a looming deadline. I don't have time to go hear someone whose claim to fame is he's someone's son speaking about God's will for my life. He's not going to say anything I haven't heard. Someone should tell 'Junior' that every speaker who ever comes to Moody speaks on God's will. I'm going to stay here and work." My co-worker mumbled something about my lousy mood and left. About 90 seconds later, this cute girl who was our newest employee stuck her head in and said, "I'm going down to chapel. Were you planning to go?" I said, "Yup. I was just coming." That girl was Darlene, whom I married a year later. But although I went to that chapel service just because it was an opportunity to spend time with her, from the time John MacArthur began teaching, I was transfixed. The message wasn't just recycled platitudes that I'd heard before. He actually opened the Bible and taught from it. During that very first message, it occurred to me that John's material was so rich, he needed to be writing books. When Darlene and I married the following year, we left Chicago and moved to St. Petersburg, FL to get involved with a local church there. The very first "Grace to You" radio broadcasts began about a week after we moved to Florida. Those original broadcasts were only aired in three cities: Tulsa (my hometown), Tampa (where I had just relocated) and Baltimore (which I have no connection to). But I began to schedule my day around those broadcasts. And every time I ever heard John preach, I'd always wish he had room on his staff for a book editor to help him craft his material for print. For the three and a half years we spent in Florida, if you'd asked me to design a perfect career for myself, I'd have told you without hesitation that I wished I could edit John MacArthur's material to help him get his teaching in print. It wasn't a goal I ever actively pursued, but I thought about it all the time. Then one day Jerry Jenkins phoned me and asked me to return to Moody Press. He had no way of knowing about my respect for John MacArthur, but one of the things he excitedly told me was that Moody was negotiating with MacArthur for a complete set of commentaries on the New Testament. The timing was perfect, and Darlene and I moved back to Chicago, where I rejoined the Moody Press staff. I spent the next 18 months there, editing John MacArthur's sermons for a couple of Moody Press books. John must have liked my work, because he invited me to come to California and join the GTY staff. That was 1983 and I've been here ever since. The thrill of it has never worn off. I have this deep sense that I'm doing exactly what I was born to do. As you've been closely engaged in working with John's materials and writing for ministry, what do you most appreciate about the relationship? His discipline and single-minded stamina still amaze me. I'm thankful for his mentorship, encouragement, and patience. For someone who is as steadfast and clear-cut as he is in the pulpit, his personal dealings with people are always profoundly gracious. I love him for that, and he is a joy to work with. My previous pastor was Warren Wiersbe. He likewise took a personal interest in me, and I worked with him on a book project or two at Moody. Wiersbe is a bibliophile, a history buff, and an evangelical polymath. I learned a lot from him and treasure that relationship, too. Both men have left an indelible mark on how I think and how I have approached preaching in my own ministry. I've also been blessed to have lots of close friends who are more or less my peers and fellow laborers. But John MacArthur has been a unique kind of model and mentor to me. I treasure his friendship. I'm grateful for all the opportunities he has given me. It would be impossible to put into words how much I appreciate the relationship with him. 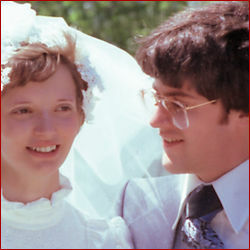 You and Darlene have been married for 40 years. How did you meet? We celebrated our 40th anniversary June 10. 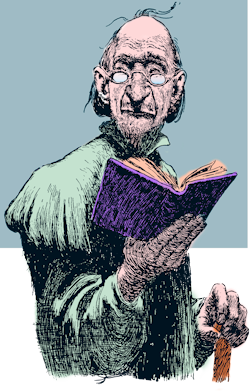 We met when she came to work at Moody Press, She was a recent graduate from Appalachian Bible Institute (as it was known then), a very conservative school, and that intrigued me right away. It really was a case of love at first sight. I invited her to a Cubs' game within 10 minutes of meeting her. That was our first date. There's a brick in the sidewalk at Wrigley with our names and the date and score of that first game we watched together. She's a fanatical Cubs fan to this day. You now have three grown sons. What do you hope they learned best from your example as a dad? Obviously, I hope they learned what it means to be devoted to Christ and His truth and to make that the center from which all their affections and all their convictions radiate. In practical, family terms, I hope they learned the same thing that was the best lesson I learned from my dad: How to love your wife. And now you're also a grandfatherwhat do you love best about this season? No question: Grandchildren. They're a thousand times more fun than having your own kids because you don't have the same responsibility to discipline and correct them. You can hand them back to their parents when they need that, and all you have to do is shower them with love and encouragement. It's tremendously fun. We're blessed in that all seven of our grandkids still live close by; they all still go to Grace Church, so we get to spend lots of time with them. It's impossible to state what a profound blessing they are. Psalm 128:6 speaks of grandchildren as the pinnacle of all earthly blessings. They make up for a lot of the pains and inconveniences that come with old age. We're going to assume you might mention John MacArthur as a spiritual mentor but is there anyone else pivotal to your spiritual growth you'd want to name? As I mentioned, Warren Wiersbe influenced me greatly. He was the first true bible expositor I ever heard. No one is better at outlining the logical flow of the text. He preached longer passages than John MacArthur typically tackles, and he didn't get into details with quite as much close study, but he excelled in the narrative passages, making both the story itself and its practical lessons crystal clear. I loved his gentle preaching style, too. Very different from John, but both have a valid place. Wiersbe whetted my appetite for Scripture; John MacArthur taught me the difference between the milk of God's Word and meat. His teaching has given me a craving for teaching that is truly nourishing and deeply satisfying, rather than the cotton candy so many evangelicals settle for. 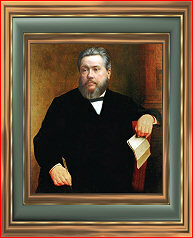 And of course Spurgeon has been a hugely formative figure in my doctrine and thinking. I love Spurgeon for his boldness, his clarity, and his refusal to back away from a truth in order to stay in step with popular opinion or the styles and preferences of a new generation. People sometimes tell me they think John MacArthur is the Spurgeon of our era. (I tend to think of Spurgeon as the John MacArthur of Victorian times.) Spurgeon and MacArthur have an amazing number of characteristics that they share in commonstarting with the fact that they were both born on June 19; they both have suffered from gout; both are prolific preachers and authors who remained in the same church for their entire ministries; and of course they share a similar commitment to (and common understanding of) the truth of Scripture. What's so great about Charles Spurgeon? Spurgeon took the senior pastoral role in London's largest, most historic, and best-known Baptist church when he was still in his teens, and he stayed there, faithfully preaching at least three new sermons each week for the remainder of his life. At the peak of his ministry, one of his sermons was published each week and distributed to millions on both sides of the Atlantic. But by the end of his life he had fallen out of favor with the majority of English Baptists. They thought he was an ageing old crank and an alarmist for warning against the dangers of modernism. Time has fully vindicated Spurgeon, and more people are reading his sermons today than were reading him during his lifetime. He is one of those rare, enduring figures of church history whose influence is felt across centuries of time. If you could invite three peopleliving or deceased (and not including Jesus or Spurgeon)to dinner, who would get the green light? All dead guys: Cotton Mather, Martin Luther, and Athanasius. You're a serious student of the Word but is there anything else on the nightstand for reading right now? I've just started reading a book recommended to me by my youngest son, who is an LAPD officer working in Hollywood at night. It's L. A. Noir, by John Buntin. It's a history of the relationship between Mickey Cohen (LA's most powerful underworld boss, who, oddly, has a role in Billy Graham's story) and William H. Parker, the LAPD's legendary chief. It's the true story of a time and a culture that became background for countless novels by Raymond Chandler, James Ellroy, and other authors in that genre. Writers need a break now and then. What do you do that gives you a mental break from the load? Every book editor I know who spends a lifetime doing that one thing has a nervous breakdown (or the equivalent) in his or her mid 50s. It's high-stress stuff, with endless deadlines, relentless pressure (and sometimes hostility) from people in the marketing side of the publishing business, monotony, headaches, critics, and more deadlines. With a book-length project it's hard (if not impossible) to shut down at night and think about other things. It's nothing like writing a column for the newspaper. Each book project typically takes a year or longer, and the editor can't fully release it from his mind and move on to the next thing until the book actually goes to the printer. I don't have many hobbies, nor am I looking for one. I can't afford to squander my spare moments on "me time." But I've been blessed with a wide variety of duties that make my work anything but monotonous. Between book projects I get to travel, speak at conferences, and deal with a whole wonderful staff of people at Grace to You. Our grandkids add a whole new dimension of joy and activity to my life. And of course, I love spending time with Darlene. These days, I leave the office early as many days as I possibly can. I'm now in my mid 60s and still thrilled to be doing all that I do. So I've managed to at least postpone my nervous breakdown. 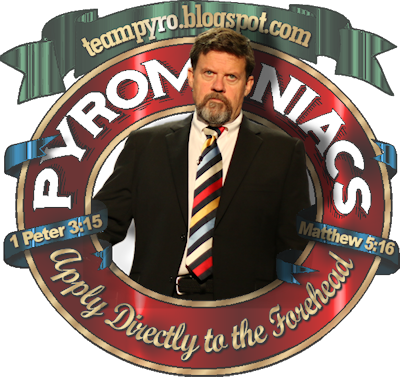 You created a blog titled Pyromaniacs . . . why that name? It's a reference to Jeremiah 23:29, where the Lord says, "Is not my word like fire?" Phil, I've been following you for several years, but have somehow missed your Tulsa connections. Good to see that a fellow Ranger has done so much good for the Kingdom. Thanks. LOVE it! Thanks for posting this!